What is Relationship Marketing, and how do I do it? Relationship Marketing, is a facet of Customer Relationship Management (CRM) focusing on customer loyalty and long-term customer engagement rather than short-term goals like customer acquisition and individual sales. It is a management strategy designed to encourage strong and lasting connections to your brand, service or product. 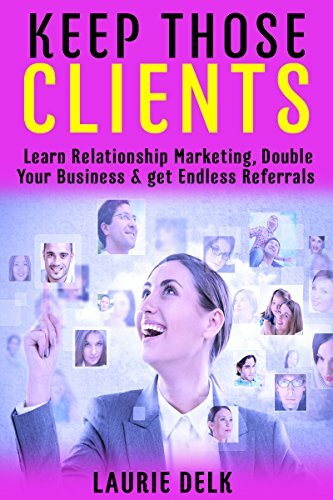 The goal is to turn your prospects into loyal customers who will then generate repeat sales, and encourage and give word-of-mouth promotions (referrals). Yes, the goal is create loyal, long-term referring customers! I say this with humility, as many of us should bring a bit of humility to our business, and let go of expectations. Be respectful of yourself and your customers/clients, referrals, and potential clients. Don’t force people into “liking you.” Value your message because you value yourself as the messenger. The value you place in yourself as the messenger is the confidence you need to take the necessary steps outlined in this book. ourselves. If you are a sales person, account representative, working on commission, etc … know and understand this … you are working for yourself. Your effort directly effects your result (income). You will get out of a relationship what you put into the relationship. When I started my web and graphic design business, back in 1994, my Dad told me, “Never mix business with personal and never mix business with religion”. Back then, he was right, maybe. ☺ But now-a-days, that is not so. Now-a-days people are craving relationships. Maybe it has something to do with so many hiding behind the computer screen, their phones, etc. We need that extra something when it comes to human contact. People want to know who you are, they want to see the *real* you. We all struggle, at some point in our lives with a specific question, “Where do I fit in?” It is our relationships … it is who we have relationships with … that tells us exactly where we fit into this crazy world. Building a Relationship Relationships all start in the same place. Two strangers meeting and desire to get to know each other. Sometimes there are sparks in the beginning; sometimes the relationship requires time. Building a relationship requires 2 people to show and be who they are. Building a true relationship is about letting the authentic you shine through. Building a quality relationship requires your heart to lead you, the wall must come down. When our wall comes down, the other person in the relationship can and will feel comfortable letting their wall down as well. We are sharing a story and creating a new part of the story together. Isolation doesn’t build anything but loneliness. So, the question is, how does the wall come “tumbling down”? One of the ways I let my heart and authentic “me” shine through is cards! I have always sent out cards, for everything. Think about a rose for a moment. The petals are all wrapped tightly in the beginning. Slowly, a petal opens. With each petal that opens a new picture is created. Something beautiful happens. All the petals are open; the rose is in full bloom. And, inside that bloom, we find the seeds. The seeds of life. Cards, for me, are the seeds of life. Sharing moments with my friends, my prospects, my clients are the petals slowly opening. Each card develops a deeper meaning … until one day the picture is complete. Yes, I send cards to celebrate and share all occasions: Thank you for your business, nice to meet you, thank you for talking to me, birthday, Christmas, anniversary, etc. This is how I built a six-figure business, sitting at home, behind a computer, while nursing babies. Laurie Delk was raised to be a winner. Her parents, both successful entrepreneurial’s in their own respects raised her with the can-do attitude. So it was no surprise that after leaving her corporate accounting career at the age of 26, pregnant with her second child, she ventured out to be entrepreneurial herself. She went into the world of graphic design in 1994. Worked hard and gave it her all and managed to bring that business into a six-figure income, while still working from home and caring for her four adorable children. For a few years she had volunteered her time at the Christian school her children attended, till she started homeschooling several years ago. Her husband had back surgery that *went bad*, and he had to leave his police work and was addicted to pain meds and in pain for many years, where Laurie had to again get a full time job in order to have insurance for her family, as well as take him to physical therapy every day. She found Send Out Cards, a direct sales company, in 2004, and has rose through the ranks to the top 20, has served on the prestigious SendOutCards Eagles Nest Advisory Leadership Board and has promoted 4 times with this company, currently ranking only 2 steps from the highest level possible. She enjoys spending time with her family while she builds her incredible & lucrative SendOutCards business. One of the things she loves most about this business is that she can build it anywhere, at any time – her laptop and smartphone are her mobile office and allows her to work where she chooses. Her clients and team members has resulted in numerous company awards over the last 12 years, including 2010 “Making a Difference”, 2013 “Gratitude”, 2014 “Revolution”, 2014 & 2015 “Circle of Excellence”, 2014 nomination “Distributor of the Year” as well as being featured in several of the SOCstars magazines – SendOutCards Team Awards & Recognition showcase, and achieving VIP status at the last several company conventions. Laurie is growing a rapidly expanding team, making a positive difference in the lives of thousands and her story with SendOutCards is just a part of it! Laurie knows how to walk through heartache and the importance of keeping a positive outlook during that heartache. She lost her husband in the beginning of 2013 (while she was speaking at an out-of-town event. With her mother and 2 youngest children with her, she had to drive the 5 hours back home after the news. Laurie lost their family dog of 13 years in June 2013, her grandfather in July 2013, and lost her father in law in 2014. In 2015, her oldest daughter found out she had cancer and thankfully beat that. Most recently Laurie experienced another loss, the loss of her mother in March 2016. Laurie has run several non-profit support groups over the years, including one for cops wives and, now, one for widows. Laurie has also ran a local networking group in the Nashville area (NashvilleNetworkingBusinessLuncheon.com) the past 8 years, people come from all over the country to her luncheons to hear the great speakers she has, as well as connect with others. “Laurie Delk used her time while at home with her young children to learn and build a business in web design. Then adding to that, she rose to the top 20 in Send Out Cards. She encourages people by sending gratitude through her cards. When Laurie lost two pillars in her life, her husband and her mother, she took these losses and used them as stepping stones in her relationships. She has a unique ability to assemble and touch the hearts of people and direct them to reach their potential. Even as I read her book I was reminded of a young niece whom I should send a card. We all have a choice to what we do in life, what we think, what we put in our mouths, what we say to ourself and to others, how we react — so many choices — We All Have Choices, and we can choose wisely or poorly, and either way we will suffer or enjoy the consequences of those choices. Through the next few years of attempting to start writing this book, and making “choices” to put it off, saying to myself, I am too busy, I will start later, and so many more excuses. If we want excuses, we can find them in anything and anywhere. In some ways, excuses can be challenges to God. After losing my husband, I didn’t think I would have to deal with loss for a long time. Yet, only 6 months after losing Bryan, I lost our family dog of 13 years. He was our sweet Boxer named Bullet. Then I lost my Grandfather, (my dad’s dad) who I grew up staying at their house many weekends when I was little. March 2014 comes along, and we lost Bryan’s father. He lived in our garage apartment, and we had cared for him for 15 years. My 28-year-old daughter was diagnosed with Non-Hodgkins Lymphoma Cancer in June of 2015, and then in November 2015, my mother (who was also one of my best friends in life) was diagnosed with Ovarian cancer. My daughter chose chemo plus natural things and was thankfully announced cancer free in December that year. My mother, unfortunately, we lost her in March 2016, three weeks before my parents 50th anniversary, and huge surprise party my sisters and I had planned for them. Later in 2016, October, we lost my Bryan’s Grandaddy (where my kids played on his farm and worked too, many days growing up). And most recently, his Granny Grace in July 2017. Yes, the past few years have been some of the craziest twist and turns life’s roller coaster has to offer. Also the different shoes I have been given to walk through life in, and the choices of how we walk in those shoes, can make all the difference in the world. Each twist and turn and upside down moment is the opportunity to find an excuse or to find a reason. Excuses are made by those who are lazy or comfortable where they are. When we seek a true change, a true change in our mindset and in our lives, we find a reason to do it. That reason is our motivation. Instead of using all of the loss my family and I have experienced to not do something, I am seeing it as a way to impact others, to impact myself, to inspire. My choice in moving forward, in a thank you to Bryan, my Grandfather, Bryan’s Granddaddy, my daughter, and my mother, as well as others, and a thank you for you also, choosing to believe in me, and making the choice to hear and read my story. Your choice is an inspiration. It is one that will inspire others. It is a choice of confidence ~ in yourself, taking the time for you, and confidence in what this book/story can offer to you. Laurie Delk was raised to be a winner. Her parents, both successful entrepreneurials in their own respects, raised her with the can-do attitude. So it was no surprise that after leaving her corporate accounting career at the age of 26, pregnant with her second child, she ventured out to be entrepreneurial herself. She went into the world of graphic design in 1994. Worked hard & gave it her all & managed to bring that business into a 6-figure income, while still working from home & caring for her 4 children. ery that “went bad”, & he had to leave his police work & was addicted to pain meds & in pain for many years, where Laurie had to again get a full time job in order to have insurance for her family, & take him to physical therapy daily. She found Send Out Cards, a direct sales company in 2004, & has rose through the ranks to the top 20, has served on the prestigious SendOutCards Eagles Nest Advisory Leadership Board & has promoted four times with this company & currently ranking only 2 steps from the highest possible. Her clients & team members have resulted in numerous company awards over the last 13 years. Laurie is growing a rapidly expanding team, making a difference in the lives of thousands & her story with Send Out Cards is just a part of it. Laurie knows how to walk through heartache & the importance of keeping a positive outlook during that heartache. She lost her husband Bryan in the beginning of 2013 (while she was out of town speaking at an event). With her mother & her 2 youngest children with her, she had to drive the 5 hours back home after the news. Laurie lost their family dog “Bullet” a Boxer, of 13 years in June 2013, her grandfather in July 2013, & her father in law in March 2014. In 2015, her oldest daughter found out she had cancer, & is thankfully now cancer free, after 6 months of natural & medical healing. Laurie experienced the loss of her Mother in March 2016, then her kids Grandfather in 2016, & her kids Grandmother in 2017. Laurie has run several non-profit support groups over the years, including one for copswives, gratitude girls & now one for widows. Laurie also runs a local networking group in the Nashville area (NashvilleNetworkingBusinessLuncheon.com ). People come from all over the country to her luncheons to hear the great speakers she has & network with others the past 10 years. 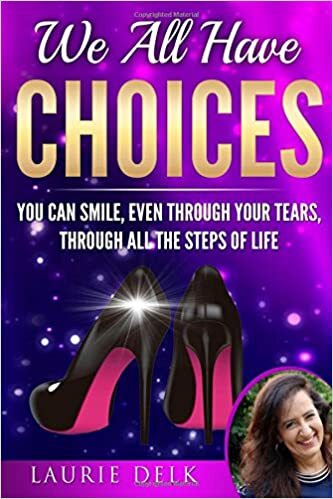 hool mom, cop’s wife, widow, business success, getting referrals, choosing happiness & forgiveness, how to smile through your tears, & having choices, along with many other topics.